Water quality plays an important role in the food service industry. Not only does water quality determine the taste and quality of all beverages served, it also determines the operating efficiency and longevity of water fed food service equipment. 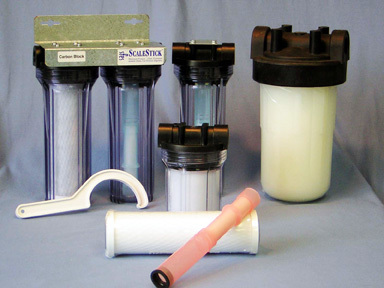 ScaleSafe scale sticks can improve the quality of beverages and reduce the cost of equipment maintenance. As important as premium water is to the food service customers, so is the reduction of water related maintenance problems to the food service operators. Steamers & combi-ovens, ice making equipment, coffee & tea equipment, hot water dispensers, bread proofers, and other food service equipment are all susceptible to water related problems caused by sediment, hard water (lime scale deposits), corrosion and chlorine. Most equipment malfunctions associated with steamers & combi-ovens are water related. Poor water quality allows scale deposits to form and increases the potential for corrosion. This can cost food service operators a lot of money in maintenance and repairs. The ScaleSafe scale sticks protect steamers and combi-ovens from scale deposits and chlorine prolonging equipment life. Effective water filtration can drastically reduce harsh de-liming procedures, which also increases equipment life. Reduced energy consumption and faster cook cycles save time and money. The most frequent water related problems associated with ice machines are lime scale deposits, evaporator pitting, bin corrosion, and suspended solids plugging distribution tubes and float valves. 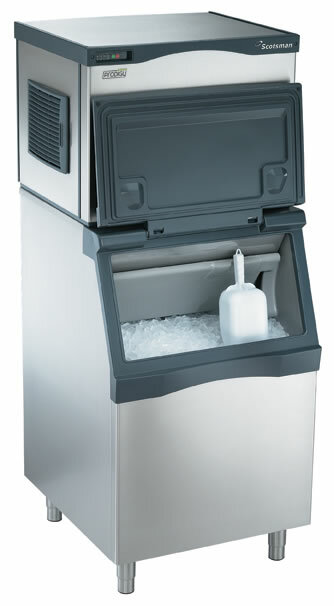 Quality water filtration equipment can significantly reduce equipment maintenance and repair costs for ice makers. Don't let lime scale and corrosion damage your ice making equipment. ScaleSafe scale sticks solve chlorine build-up issues that are responsible for evaporator, auger pitting, and bin corrosion. The system also removes mineral scale build up responsible for clogged sumps. These scale sticks improve energy efficiency and machine life. A normal cup of coffee is composed of about 98% water. Therefore, the quality of your coffee depends on the quality of your water. Chlorine can also ruin the taste of coffee. In addition, when chlorine scale forms on equipment, heating elements do not allow water to reach the ideal temperature for brewing. All of these issues are eliminated with the use of ScaleSafe scale sticks. The ScaleSafe system reduces brewing equipment maintenance and repair costs while enhancing the aroma and taste of coffee, tea, and espresso drinks. Don't let lime scale and corrosion damage your coffee, tea, and espresso equipment.